June 2014 will be a month that goes down in history! In the 29 years M.R. Mold has been in business, business has never been so good. Record sales were recorded last month. 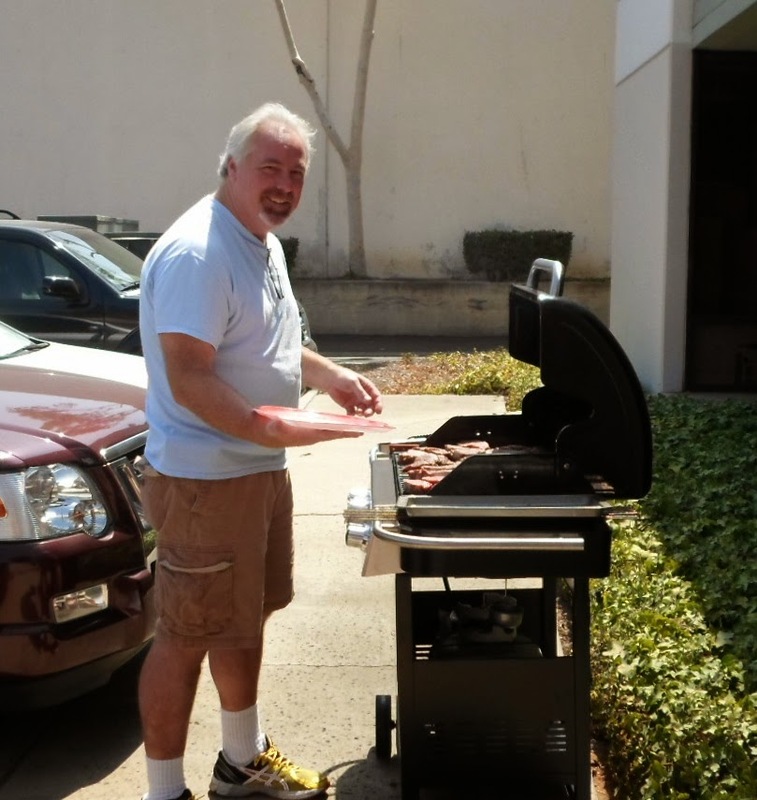 To express his appreciation for his employees hard work and dedication to meet customer's needs and deadlines, Rick Finnie, president, pulled out the grille and barbecued filet mignon for his 30 employees. Served with baked potatoes and Brian Geisel's homemade baked beans, the lunch was a resounding success! The addition of 6 new employees, ranging from apprentice to management, in the past two months has provided M.R. Mold with the skill and expertise needed to build, sample and ship molds ON TIME!! "We have no reason to believe it will slow down anytime soon," states Rick Finnie. "Our customers are telling us the work will continue to be awarded to M.R. Mold."